Mr. Velasco, Filipino, has been with the Company since 2013. He initially joined as part of EDC’s International Business Development team covering Latin America, before moving to Finance to assist with the Company’s Investor Relations, Special Projects and other activities. 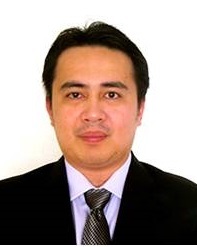 Prior to joining the Company, he worked for Indra Philippines, Inc. as its Managing Consultant and Head of Business Development – Financial Markets, and with Citigroup in London, UK as a Vice President covering its Europe, Middle East and Africa (EMEA) market. Mr. Velasco obtained his MBA degree at IESE Business School in Barcelona, Spain, and had attended an MBA International Exchange Program at Tuck School of Business (Dartmouth) in Hanover, New Hampshire, USA. He graduated from Ateneo de Manila University with a Bachelor of Science Degree in Business Management, Honors Program.